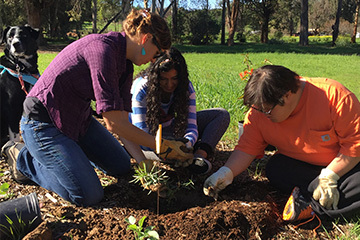 Thank you to the Rotary Club of Ojai for the $500 grant which is funding, in part, a partnership between the OVLC and Ojai TEAMS for their adopted plots at the Ojai Meadows Preserve. Work has begun and the students will care for their plots through the spring. If you see them out working on the meadow, ask them about their adopted plots!